The gun violence plaguing Philadelphia led to three more fatalities on this first weekend of spring, bringing the city's ever-rising homicide tally to 92 in 2007. The string of shootings also led to several injuries in separate incidents. Police said Jonathon Fox, 23, was shot to death Saturday shortly after 10:30 p.m. on Summer Street in West Philadelphia. Cops said he had been shot once in the hip and taken to the Hospital of the University of Pennsylvania, where he was pronounced dead shortly after 11 p.m.
Fox was the city's 90th homicide this year, police said. Police said they had no suspects and knew of no motive for the shooting. The 91st homicide victim was the 39-year-old woman killed in the Southwest Philadelphia shootout. The year's 92nd homicide occurred shortly after 5 p.m. on Seltzer Street in North Philadelphia. Police said a man in his 30s had been shot in the head and the back. He was pronounced dead on the way to Temple University Hospital. Four other shootings left five people recovering in area hospitals. A 44-year-old man was shot once in the right arm shortly after 6 a.m. Saturday on 54th Street near Vine, West Philadelphia. He walked to Presbyterian Hospital, where he was admitted in stable condition. Shortly after 1 a.m. yesterday, a 43-year-old man was shot once in the right hand on Shields Street near Greenway Avenue in Southwest Philadelphia. He was taken to the Hospital of the University of Pennsylvania, where he was listed in stable condition. The third weekend shooting happened about 6 a.m. yesterday on Mentor Street in Tacony, where an 18-year-old woman was shot once in the right arm. She was taken to Temple Hospital, where she was listed in stable condition. 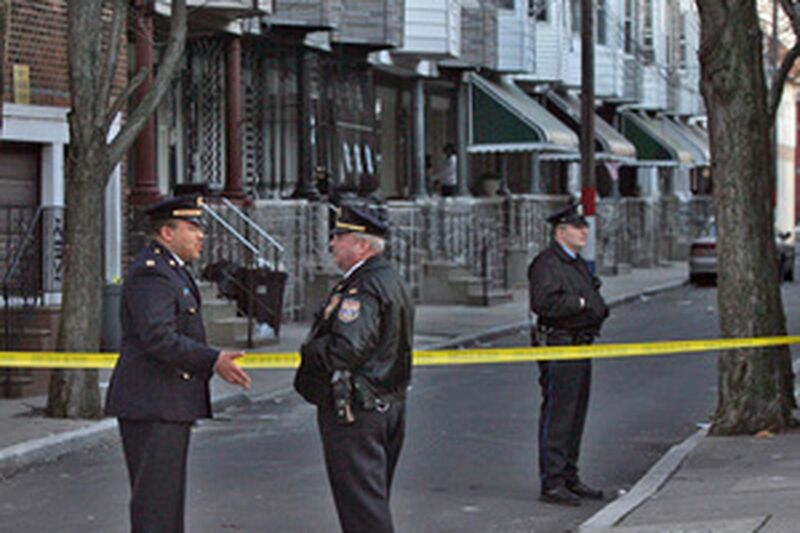 The fourth shooting happened on Etting Street near Reed in South Philadelphia early yesterday evening. Police said a 9-year-old girl and a 12-year-old girl were both shot in the left arm. The girls were taken to Children's Hospital of Philadelphia, where their conditions were unknown. Staff writer Diana Huynh contributed to this report.